Beginning its long journey high in Rocky Mountain National Park the upper Colorado River makes its way through the north-central part of the state. Flowing through meadows, valleys, and canyons, the river offers up everything from scenic floating opportunities to heart-pounding class V rapids challenging even the most experienced boaters. High in Rocky Mountain National Park, the Rockies give birth to the legendary Colorado River. Downstream of the national park, the river grows clear and gently flowing. 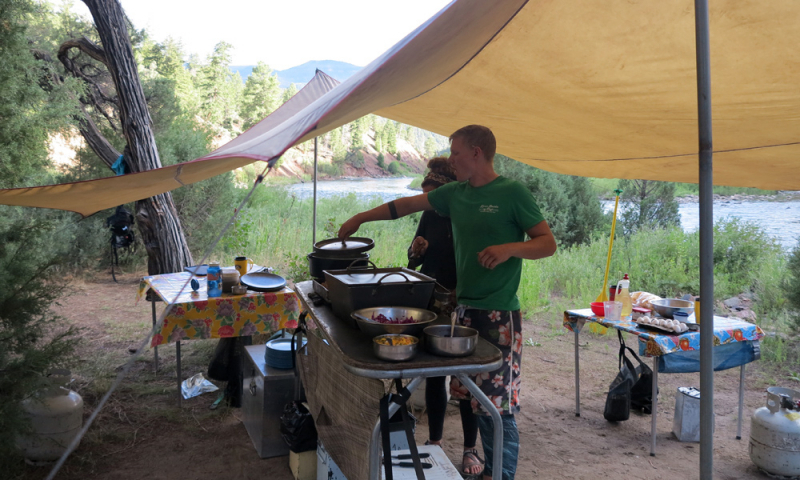 Our Colorado rafting trips are friendly and inviting to people of all ages. The character of the landscape along the Upper Colorado River varies from natural to rural where scenery includes ranch meadows, valleys, steep slopes and rugged cliffs. Here, the Colorado River is a mild introduction to white water rafting for families with small children, senior citizens, or folks looking for a lazy Colorado vacation. 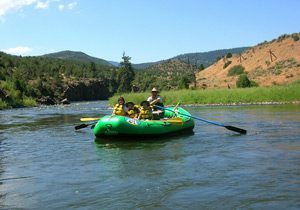 Colorado rafting trips can be perfect for many groups looking for a scenic raft float. Many people looking for serious white water mistakenly assume the Colorado River is the place to go for white water rafting in Colorado. 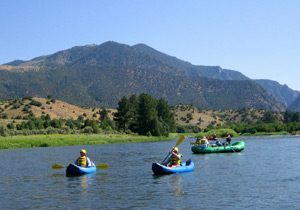 Sections of the Colorado River in Utah and Arizona offer big white water rafting, but if you are looking for big excitement here in Colorado, consider checking out the Arkansas River, just south of this gentle jewel of a river. We offer Full Day and 2 Day Colorado River rafting trips. We require a minimum group size of 10 people to start a new full day Upper Colorado River white water rafting trip. 2 day trips can be started on almost any date with a minimum of just four people. 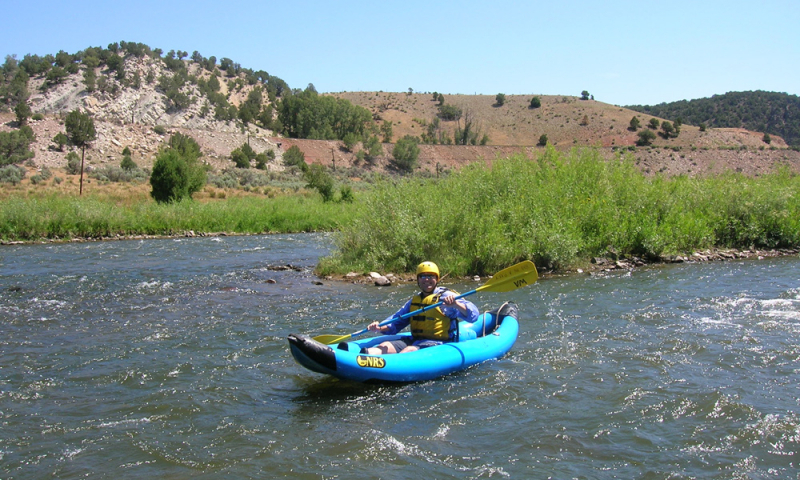 Wilderness Aware is a specialist in Multi Day Whitewater Rafting Trips on many Colorado Rivers. The Upper Colorado River is located about 25 miles north of Vail, and just south of the town of Kremmling . It is convenient to all the Summit County and I-70 corridor Ski Areas of Keystone, Breckenridge, and Vail. 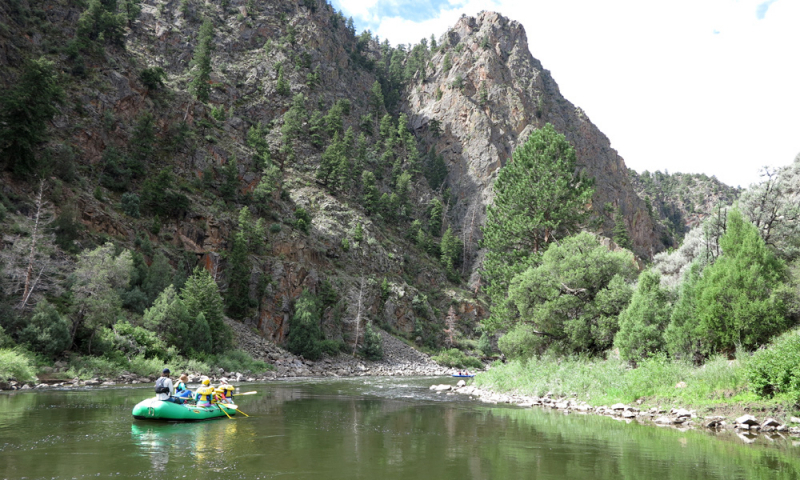 Experience classic Colorado beauty on this mild water float on the Upper Colorado River. Located just north of Breckenridge and Silverthorne near Kremmling, Colorado, this trip is great for young kids ages 4+ as well as adults of all skill levels. Raft during the summer from late May-Labor Day. This is a great trip for family groups! 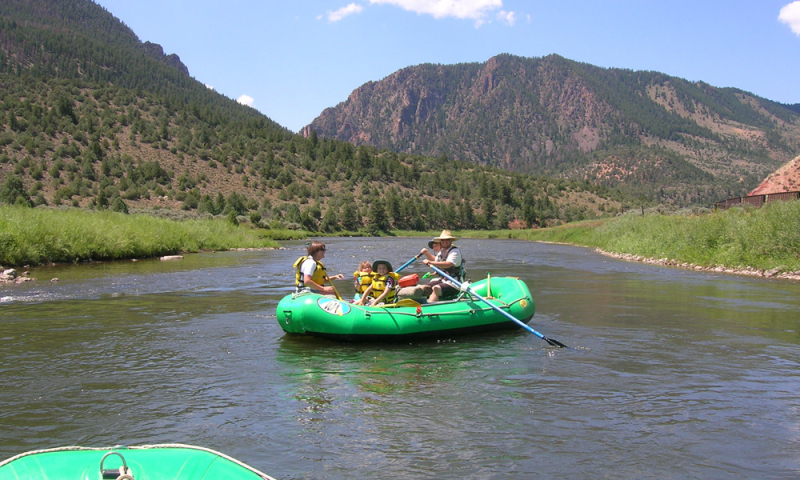 Raft the mellow, warm water of the Upper Colorado River on this fantastic two day adventure. Trips depart near Kremmling, Colorado, tucked into the Colorado high country just north of Breckenridge and Silverthorne. This float trip is available late May-Labor Day and is great for young kids ages 4+ as well as adults of all skill levels. Well known for its steep and technical drops, Gore Canyon is demanding and exhilarating. Wilderness Aware does not offer this section due to it’s technical nature. See the resources drop down for more info. Gentle and mild stretch of river with abundant wildlife, fossilized dinosaur tracks and natural hot springs. Long section of gentling flowing water and the occasional mild rapid. Plenty of access provides the opportunity to tailor any length of trip. No commercial outfitters run this section; self-guided only. Short section of mild white water where the Colorado joins 1-70 at Dotsero. No commercial outfitters run this section; self-guided only. Comprised of three distinct sections, Glenwood Canyon is a popular section packed with past-paced, demanding rapids and milder, bouncy white water. Wilderness Aware does not offer this section due to it’s location. See the resources drop down for more info. 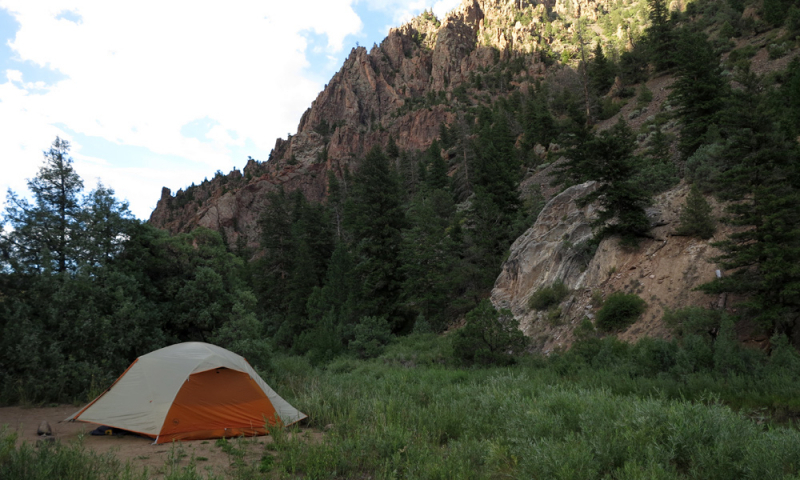 Beginning in heart of Glenwood Springs, the South Canyon is an easygoing section of moderate white water. No commercial outfitters run this section; self-guided only. The Upper Colorado River (Gore and Little Gore Canyons) are managed by the Bureau of Land Management out of Kremmling, CO. The Upper Colorado River (Lower Gore, Dotsero and South Canyon) are managed by the Bureau of Land Management out of Silt, CO. The Upper Colorado River through Glenwood Canyon is in the White River National Forest and is managed by U.S. Forest Service. 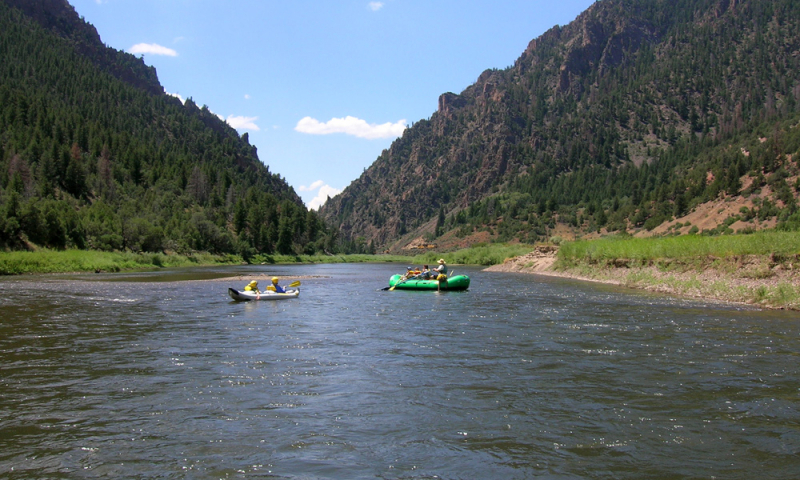 Our Colorado River trips meet at Pumphouse Recreation area near Kremmling, CO.